It's a bird. It's a plane. It's a...TILT? Ninety-four floors up in the blue (and very windy) Chicago sky is a glass and steel contraption that takes steady nerves and a bit of daring to take on. 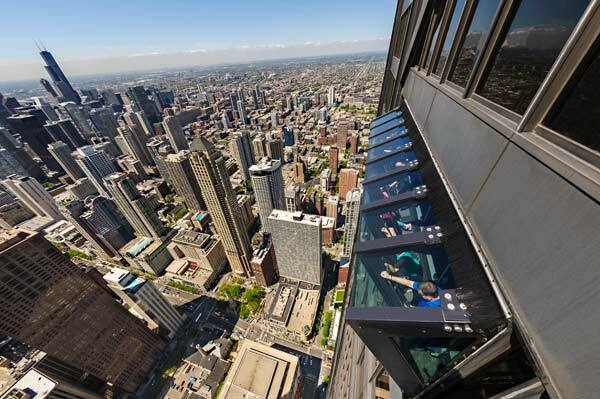 Much like the famed Ledge at SkyDeck Chicago or the nerve-wracking Edgewalk at CN Tower in Toronto, the brand-new TILT at 360 CHICAGO is for those undaunted and unshakeable thrill-seekers looking for an aerial adventure. 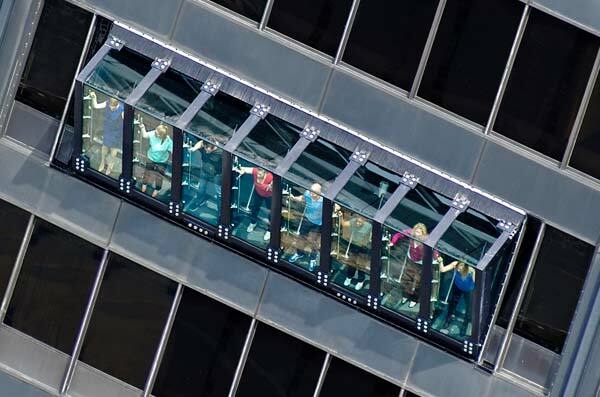 Located on the 94th floor of 360 CHICAGO (formerly known as the John Hancock Observatory), TILT is a one-of-a-kind experience that takes eight visitors at a time tilting out over the city in a moveable platform at a 30-degree angle. In a city known for its architecture, it's as much an engineering marvel as it is a once-in-a-lifetime vertigo-inducing bucket list item that will change the way you see Chicago. Designers specifically created this steel box for eight so that it would move slowly — it moves about 50 inches out at a leisurely pace — so as to not startle its passengers any more than necessary, considering that they are dangling at 30 degrees and 1,000 feet above the Magnificent Mile. But passengers shouldn't worry. This wind-tested, hydraulically-powered, masterfully designed machine — said to be the only one of its kind in the world — has been put through its safety paces and is one of the safest and most sought-after attractions to hit Chicago, whether you find yourself in its full-body, breathtaking tilt or you're one of the various onlookers who peer at it in wonder from the street far below. TILT costs $7 to experience, and you must also have either a general admission ticket to 360 Chicago or a Chicago CityPASS, which includes VIP entry to Shedd Aquarium, an all-access pass to Field Museum, Fast Pass admission to Skydeck Chicago, your choice of VIP Express entry to 360 CHICAGO OR VIP Entry to the Museum of Science and Industry, and your choice of the VIP entry to Adler Planetarium OR Fast Pass admission to the Art Institute of Chicago.